Increasing contrast when working in black and white, this 49mm Red 23A Filter from Tiffen is used to noticeably darken cool and blue tones in order to emphasized both shadows and clouds. Offering greater tonal separation than regular yellow and orange contrast filters, the light-red 23A is especially well-suited to producing dramatic outdoor and landscape imagery. There is an approximate 4x filter factor with this filter, requiring an increase of 2 stops for normal exposure. The filter is constructed using Tiffen's ColorCore technology, which involves lamenting the filter material between two pieces of optical glass, grounding flat to a tolerance of 1/10,000th of an inch, and mounting within an aluminum alloy ring. Light-red filter provides the same effect as a Wratten 23A contrast filter, and helps to darken blue tones while lightening warm orange and red tones, when photographing in black and white. Filter factor of 4 requires approximately 2 stops of additional exposure to maintain normal results. 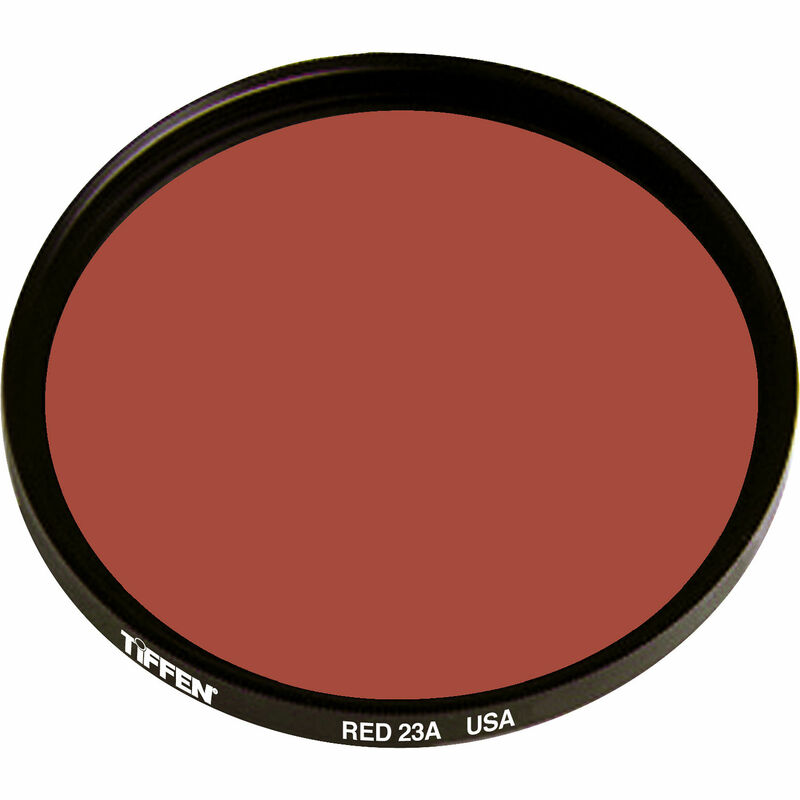 49mm Red 23A Filter is rated 5.0 out of 5 by 1.